According to the latest study by the Food Standards Agency (FSA), the most prevalent foodborne pathogen in the UK is Campylobacter. This microorganism is responsible for approximately 280,000 cases and 40,000 foodborne illness-related GP consultations annually. This is not surprising given that many commercial kitchens can serve as a breeding ground for bacteria and germs if not properly cleaned and maintained. It is imperative to ensure that your commercial kitchen maintains the highest cleaning standards irrespective of whether it is in a five-star restaurant, an institution’s cafeteria, or a small local eatery. To prevent food contamination, kitchen managers implement stringent rules and cleaning procedures. Kitchen staff is required to clean all cooking equipment and surfaces after each use. Furthermore, kitchens should follow a well-defined colour-coding or labelling system. 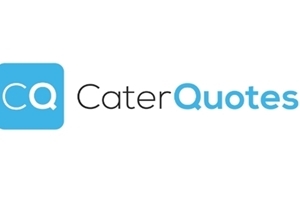 Government regulators also periodically publish a food hygiene guide, which is used to direct employees within the catering industry on how to ensure they are updated on food safety issues that apply to commercial catering facilities. While such internal regulations are unquestionably necessary for ensuring clean commercial kitchens, facilities also need to make an effort to cover the areas that are not routinely maintained or always visible to kitchen staff. 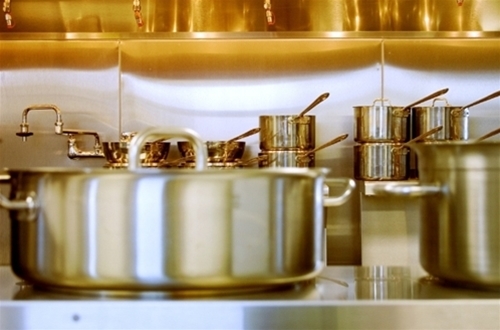 To properly clean your commercial kitchen, it is important to consider the following areas. Kitchen staff usually only clean the visible sections of the kitchen canopy hood. However, it is necessary to regularly undertake thorough maintenance of ventilation systems, exhaust fans, exhaust plenum, exhaust ducts and baffle filters. Cleaning these areas will help to improve ventilation, get rid of grease, and minimise the risk of a dangerous and costly kitchen fire. Commercial kitchens should be deep cleaned at a frequency that corresponds with the type of activity the kitchen deals with. For instance, robust fuel-burning systems have to be cleaned at least once per month, while moderate-volume cooking setups have to be cleaned on a semi-annual or quarterly schedule. 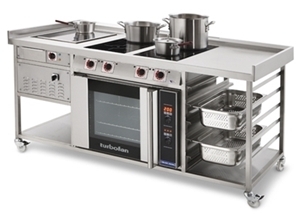 Commercial ovens used on a frequent basis in most commercial kitchens, need proper and routine maintenance. Failure to clean ovens properly and regularly normally results in limited efficiency, reduced consistency in food quality, and a shorter lifespan. Methodical cleaning helps to minimise the hazard of oven fires, increase energy efficiency, and improve cooking times. For day-to-day maintenance, have your kitchen employees use a scraper or brush to scrub off debris and grease spills. When dealing with tougher grease, a damp cloth can be used to loosen debris. Additionally, you should train your kitchen staff to properly deal with loose debris and spills as they occur to prevent excess build up on the equipment. It is quite common in older commercial kitchens to run out of plugs and sockets. It is important to spare some time to conduct a safety check on all extension cords and plugs to ensure they are not overloaded, damaged or frayed. 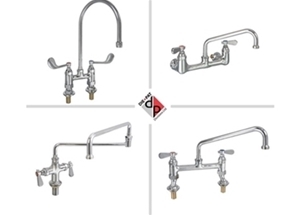 When doing routine cleaning, it is advisable to check these electrical components, especially given that commercial kitchens often deal with hot oil, boiling water, heavy duty equipment, and high electrical currents, which can be hazardous to kitchen staff, guests, as well as the physical premises. Floors are some of the main places where bacteria and filth can build up fast owing to the high rate of foot traffic experienced during food preparation, fallen food, as well as dripping equipment. While floors are not considered a food contact surface, poor cleaning often leads to a build-up of food debris and dirt, which tend to attract vermin and have the potential to cause foodborne diseases. Staff should properly sweep the floor reaching below and behind all shelves and equipment. Soiled buckets and mops can also be breeding grounds for germs, and even encourage the spread of bacteria within the kitchen. For large floor areas it is advisable to use a motorised or electric floor scrubber as they have the power to lift away embedded dirt, grease, and debris, and leave an immaculate floor. It is also advisable to wash the floor using a commercial detergent to ensure total elimination of food debris, grease, and bacteria. Although the waste bins are normally located outside the building, it is vital to regularly clean the area. Staff must spray down the whole area using a hose at least two times a week to remove debris and bacteria. This helps to maintain a sanitary environment for employees who often come into contact with this area. Staff should use a pressure washer when cleaning the area to remove stubborn dirt and to eliminate odours, as well as to improve the overall appearance of the establishment. In case the establishment lacks someone who is trained to use a pressure washer properly, it is advisable to hire a skilled contractor to do the job on a weekly basis. Kitchen staff should be trained on ways to properly clean cold rooms and walk-in refrigerators. Like kitchen floors, cold-room floors need to be cleaned on a daily basis using a commercial-grade detergent after a thorough sweeping. To prevent the growth of mildew, kitchen staff should also wipe down the walls and ceilings of cold rooms regularly. Besides properly arranging and organising products and items on the shelves to prevent cross-contamination, the staff should clean the shelves at least once every week. Before cleaning the cold-room, it is advisable to refer to the owner’s manual to make sure the cleaning solution that is used does not damage the equipment’s finish. Once any kitchen equipment has been used, it is the responsibility of the kitchen staff to ensure that it is cleaned and sanitised. This includes all pots, utensils, baking sheets, trays, and other regularly used items. Kitchens can invest in a soak tank service to reduce the workload of your employees, while also ensuring comprehensive cleaning of equipment. A soak-tank service is ideal for hard-to-clean items like exhaust hood filters within a short period of time for immediate subsequent use. Most soak-tank services use biodegradable cleaning detergents that are safe for the environment and the health of staff and customers. Besides the main areas that have been mentioned above, there are several other important areas when cleaning commercial kitchens. For instance, floor drains and pipes often get build up from grease, oil and debris that spill onto the kitchen floor. If neglected for too long, the pipes and drains will get clogged up. Kitchen cleaning will require a high degree of routine-based tasks that kitchen staff and managers must follow. Due to the busy environment of these kitchens, established patterns of routine cleaning will help maintain hygienic conditions at all times. While some cleaning tasks can be performed by regular kitchen staff, some of the more intricate cleaning tasks may require hiring a professional.